What did we expect on a Halloween night – scary things, spooky music? Definitely not and nothing strange about the band booked to play on the evening for sure! 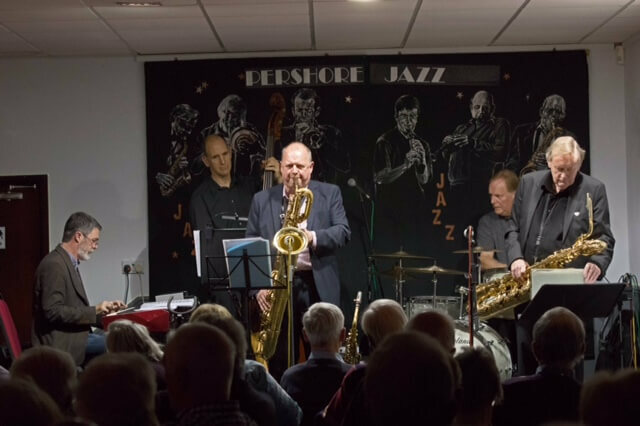 It was a superb evening of top quality jazz. 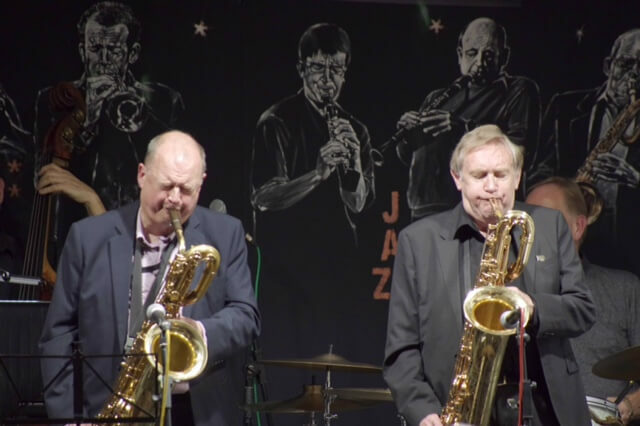 John Hallam and Alan Barnes – two masters of their instruments together was just a winning combination and we were treated to a varied and interesting repertoire. Just as was expected! John and Alan have exceptional talent in abundance and this was truly demonstrated throughout the evening. Of course no band is complete without a rhythm section and what a great one we had too. 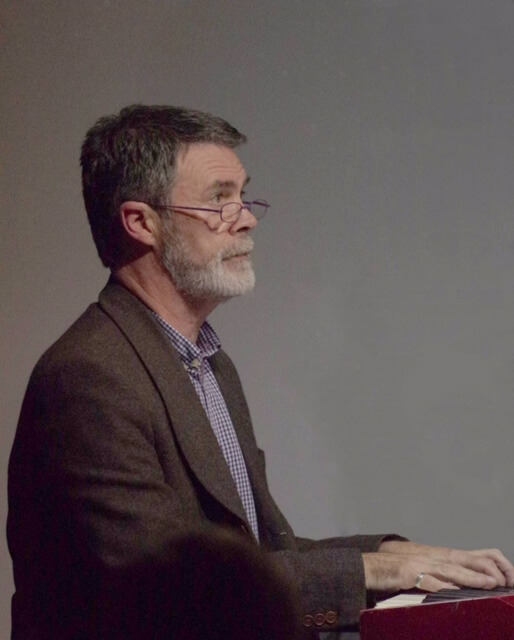 Dave Newton was fabulous and you can see why he is a winner in the 2018 British Jazz Awards. Tom Clarke-Hill was just great on bass and his Halloween noises and Graham drove along superbly on drums. Jazz doesn’t get much better with musicians like these. Many thanks to all for a top night and one to repeat again for next year.